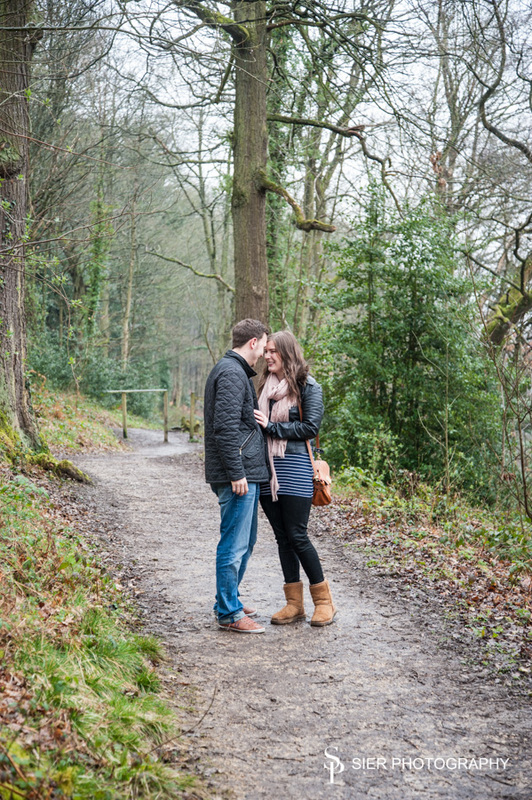 An Engagement photography session at Linacre Reservoirs with Amy and Chris ahead of their Wedding in at Christ Church Hackenthorpe Sheffield next month. 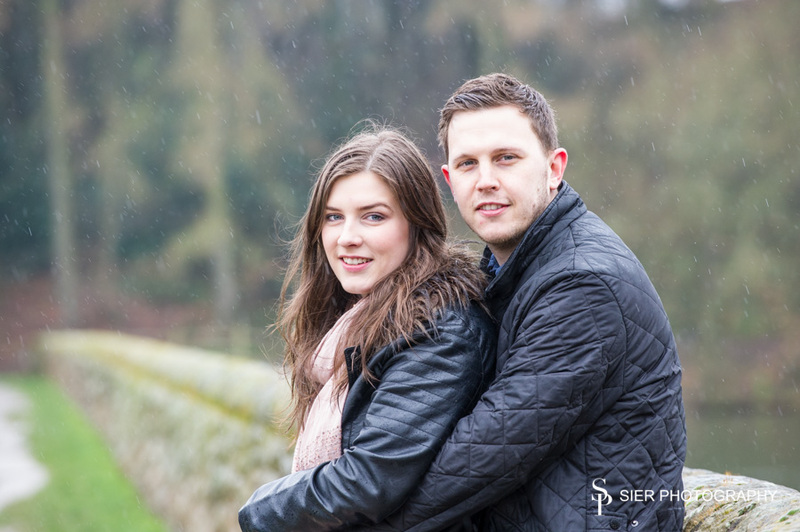 Not even the pouring rain could dampen their spirits, a very happy couple and so much fun to be with, can’t wait for their Wedding! 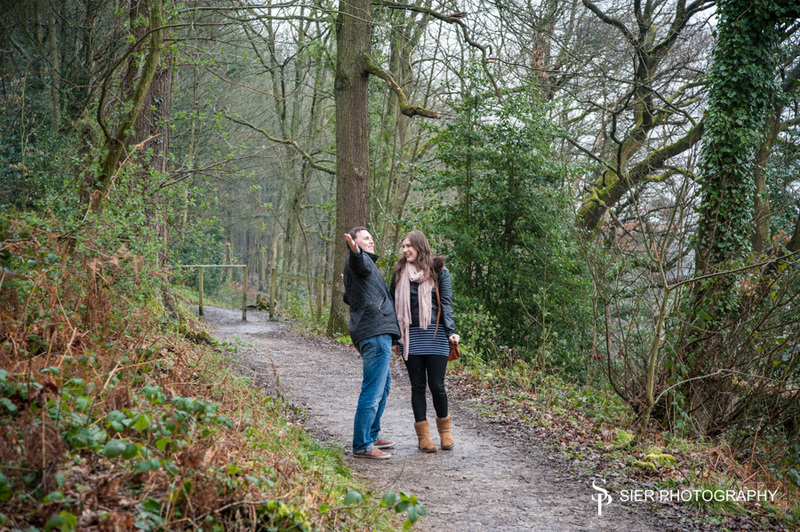 This is a spectacular spillway into one of the Linacre Reservoirs and makes an interesting and different frame to the portrait. 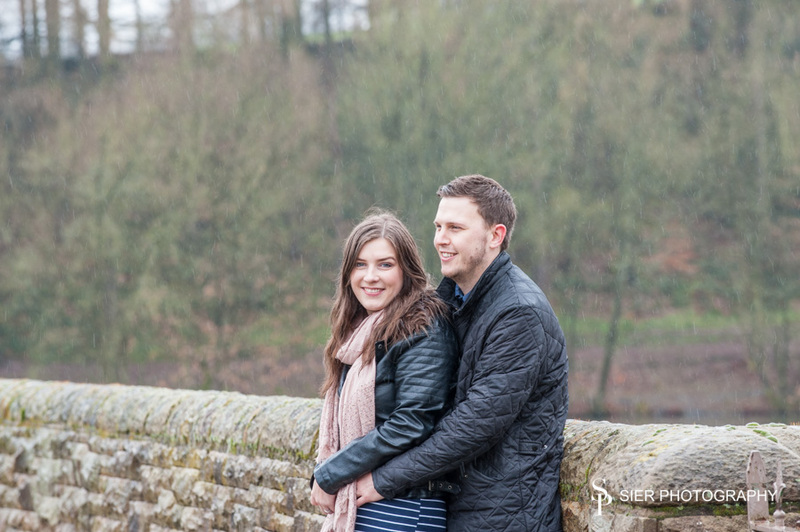 It was fun dodging the rain drops, to try and get some relaxed shots of Amy & Chris. We think we managed it! Enjoying a joke with each other. 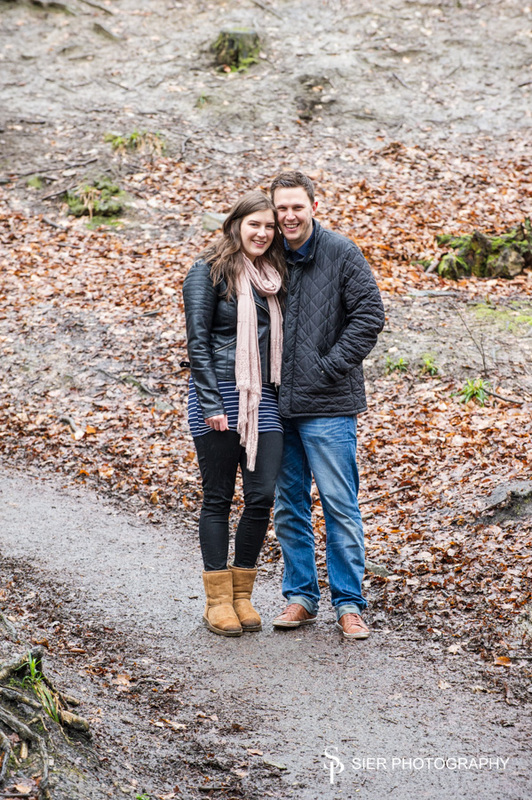 A really happy couple really at ease with each other. 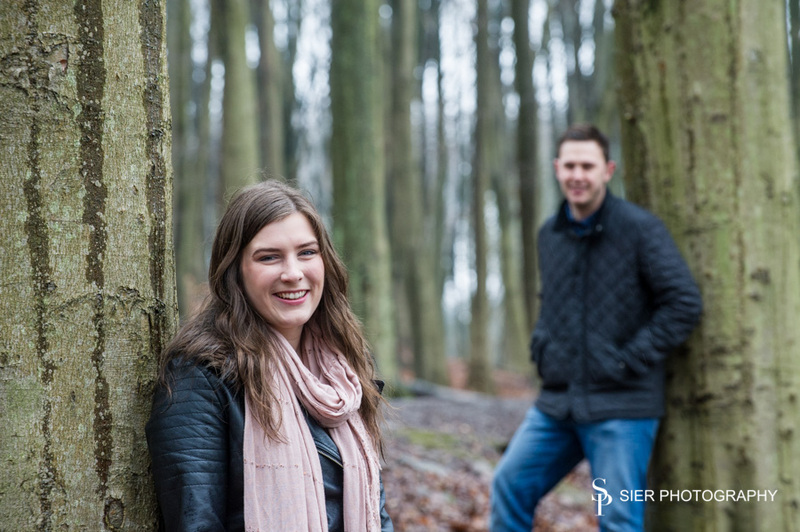 Engagement photo sessions are a really good way for couples to experience being photographed but Amy and Chris were instantly at ease with the situation. 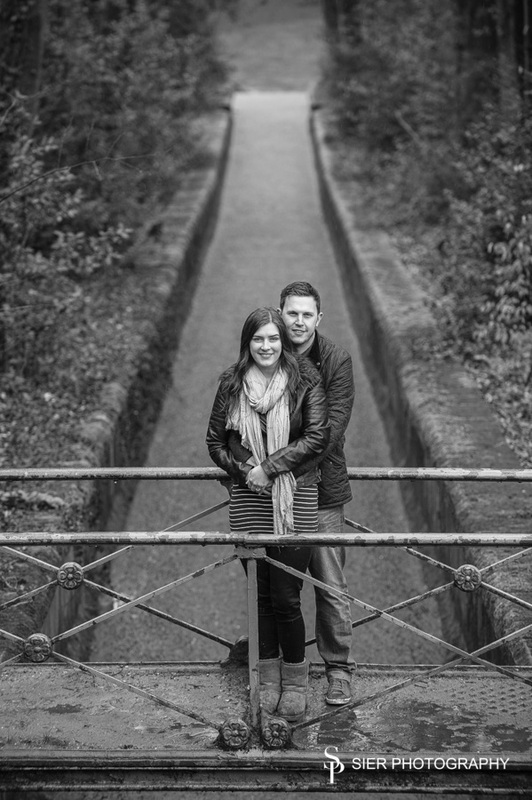 Amy and Chris are a very relaxed couple in front of the camera. 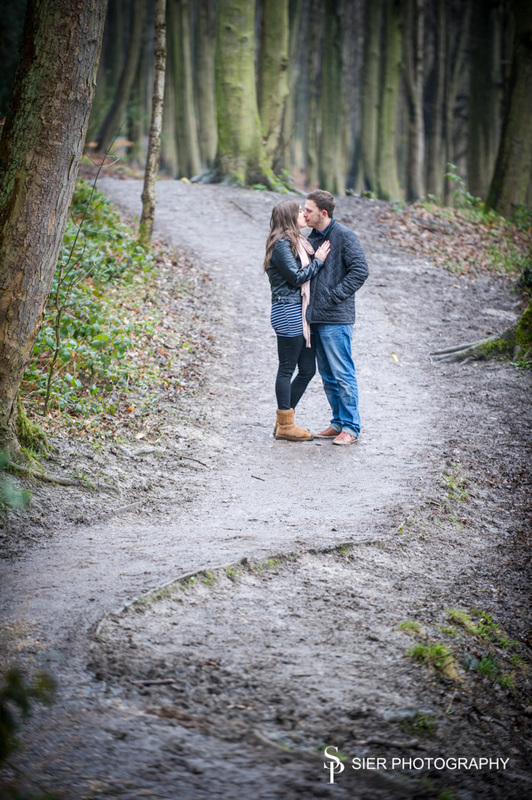 We try to ensure all our couples feel relaxed while being photographed. It’s just a normal walk in the park. 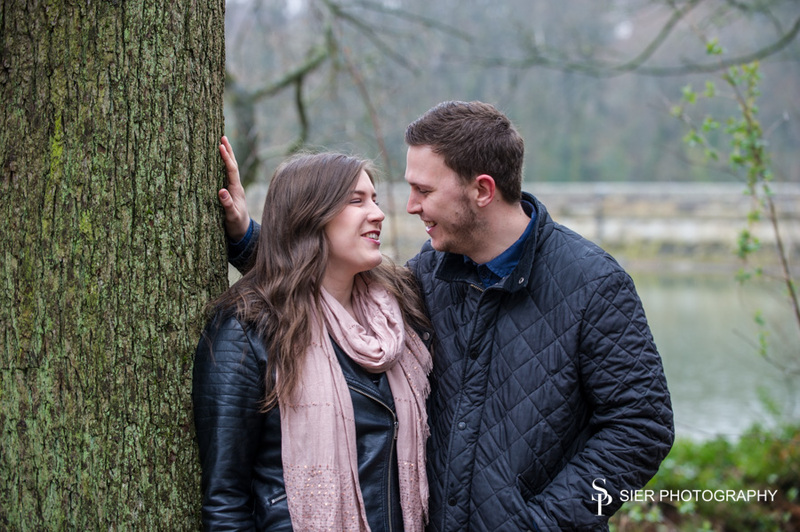 Engagement photography sessions should be fun and we all had a really good time despite it being a drizzly Saturday morning. Posing like naturals before heading off to the match. The rain can clearly be seen but it didn’t stop us! 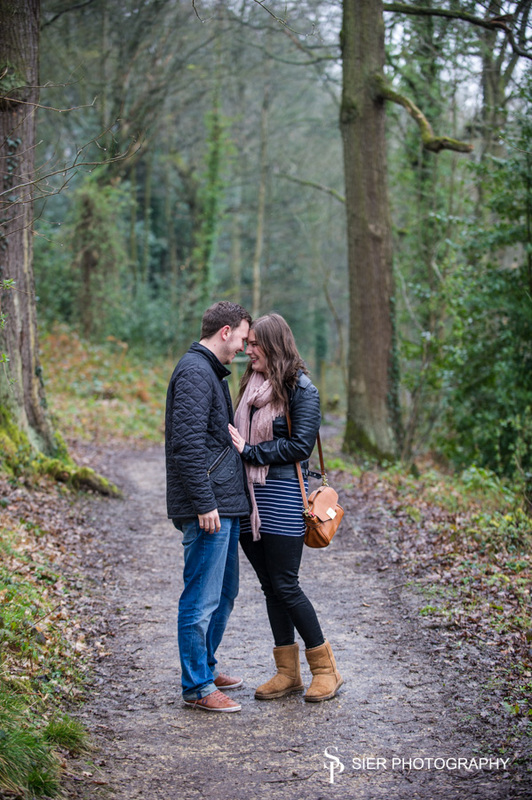 We were almost done by now and a return to some warmth seemed the sensible option but it was well worth an hour to capture these images for Amy and Chris to have forever.